These prices includes training and materials. Price doesn’t include room & board. Inexpensive accommodation and billeting available. Please register online or contact the Amrit Yoga Institute by email or call 1-352-685-3001 to pay with cash/cheque/money order. Payment plans are available if paid in full by the beginning of each program. A deposit must be made in order to hold your space. Imagine your life unfolding as you always wanted. See yourself letting go of the past. Envision yourself free of worries about the present or frustrations about the future. Picture a life of relaxed acceptance and fulfillment beyond your wildest dreams. Join us for this 10 day program with Senior Amrit Yoga Teacher John Vosler and Hasu Marney Coulter. Senior Training Faculty For over twenty years, John Vosler has had a passion for teaching how our thoughts and emotions affect our bodies. He has a degree in Human Development and certifications in multiple healing modalities. As a senior teacher at the Amrit Yoga Institute, he speaks internationally on the profound healing benefits of the ancient meditation practice of Yoga Nidra. John has a successful holistic health practice in Los Angeles, California. 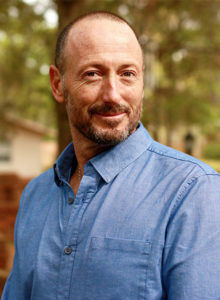 He has worked with executives, athletes, celebrities, moms and other professionals attracted to John’s unique combination of intuitive awareness, understanding of the mind/body/spirit connection and expansive knowledge of physiology and the science of meditation. His infectious humor and compassionate heart make growth a joy filled experience. Hasu is an intuitive and knowledgeable Yogi. 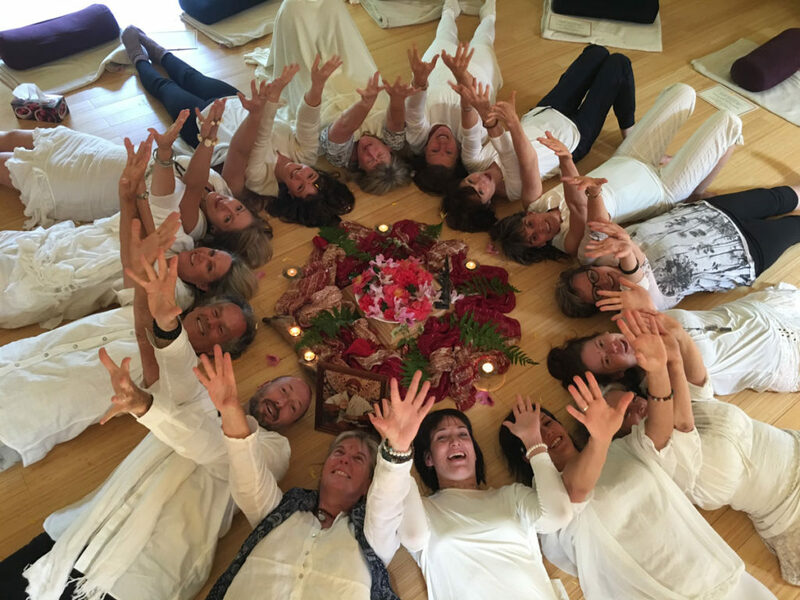 For more than 20 years, she has shared a flowing practice which creates self alignment and attunement, based on teachings from her own life experience, Kripalu Yoga, Amrit Yoga, and Phoenix Rising Yoga Therapy. The focus is on exploring sensation through movement and stillness, while drawing on the breath as a tool for transformation, allowing you to explore your inner edges and thresholds with willful practice and mindfulness; learning how to trust, accept, experience peace with ourselves and life, by deepening the connection with the vital life force, and adding a sense of ease to one’s life. From here, we learn how to carry what is experienced on the mat into daily interactions. Life becomes a waking meditation. 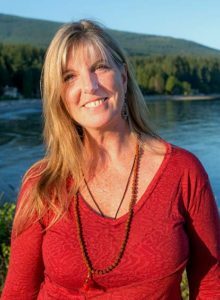 In April 2011, Marney received initiation into the Kripalu Lineage from her teacher Gurudev, Yogi Amrit Desai, and can be called by the spiritual name Hasu, which means Joyous One. She was recently recognized as a Senior Teacher for the Amrit Institute. C-IAYT Certified and Registered with International Association of Yoga Therapists, Hasu is the Director and Owner of Yoga by the Sea. Stress is more prevalent than cancer or heart disease. It has been estimated that stress is the underlying cause of as much as 80% of illnesses. Stress comes in many forms, many of them so familiar to us that we fail to recognize them as problems. These hidden stressors continually barrage us, and cumulatively they suppresses the immune system and are the underlying root of a wide range of health issues, including premature aging, degenerative diseases, insomnia, indigestion, high blood pressure, heartburn, addictions to alcohol, drugs/tobacco, anxiety, depression, and Attention Deficit Disorder. Yoga Nidra takes you beyond the barriers of the five senses, initiating shifts from the deepest core of your being. This state of meditation provides you with powerful tools to eliminate stress and banish self-destructive unconscious fears, beliefs and habits. Yoga Nidra relaxes, rejuvenates and renews the physical body. It also empowers you to eliminate unconscious obstructions and energetic blocks that prevent you from living your life to the fullest. Yoga Nidra is the single most powerful tool that can help you reshape your life, rebuild your health, and renew your life. For those who wish to share the Amrit Method of Yoga Nidra by becoming a certified facilitator, this in-depth training deepens your understanding and provides comprehensive tools that allow you to bring the power of Yoga Nidra to others. This form of deep meditation is a great addition to yoga classes, therapy sessions, acupuncture, massage, energy healing and many more modalities! Yoga teachers and studio owners can extend their services to those students who are unable to do a traditional yoga practice. Massage therapists, healing professionals can extend their therapeutic services to a greater circle of clients.